Dandruff, as we all know, is an unsightly and embarrassing problem. And one that has given the shampoo industry quite the advertising angle. One of the causes of dandruff is a fungus, and here we find the latest health breakthrough that may pave the way to new and improved treatments. RECOMMENDED: Must-read article for men who lost their hair young. 1. Get Sun: Some believe that sun exposure has an anti-inflammatory effect on the scalp that can ease dandruff. Spend 30 minutes in the sun each day and it will be beneficial. 2. 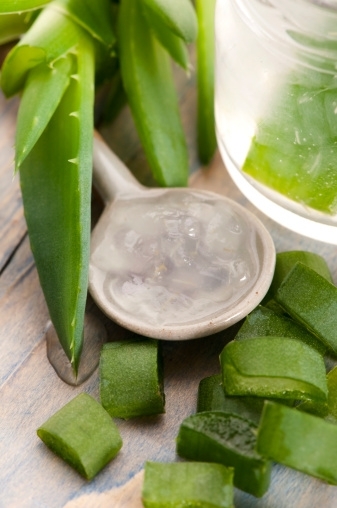 Aloe Vera: A famous herb traditionally used for burns, scrapes, and cuts. But there may be better evidence for its use on dandruff and conditions that cause itchy, flaky skin on the scalp. Find it in cream form. 3. Thyme: The antiseptic properties of thyme might help an overactive scalp from producing dandruff. Boil a strong thyme mixture, like tea, and keep it in your shower. Don’t wash it out. 4. Tea Tree Oil: In a month-long study of 126 people who had dandruff, a five-percent tea tree oil shampoo significantly reduced their flakiness. 5. Wash Right: Use mild shampoos that don’t contain dyes or harsh ingredients. Shampooing cleans away the oil build-up. Wash hair almost every day to help ease oily scalps. If you try dandruff shampoo, know that the longer it stays in contact with your scalp, the more effective it is.